Oats have been cultivated for about 2000 years which is pretty young in grain years. They were a weed beforethey were domesticated. They became very popular in Scotland and Ireland as a food before their use spread to the rest of the world,interestingly in England oats were given to …livestock! I was looking up ideas to help with breastfeeding when someone mentioned oats boost breast milk production and i decided to do some more research on their health benefits, to humans ofcourse. Oats are great for breastfeeding moms as they boost milk production but they are also an awesome cereal for anyone looking to eat and live a healthier life. Here are the ones i got. Cooking oatmeal porridge is fairly easy and the pack I got had a recipe on its side ,after modifying it to make a small bowl of oatmeal porridge, Emma was one well fed baby. Read some more about the benefits of oats here. 1.In a small saucepan on medium high heat bring the cup of water to boil then add the quarter teaspoon of salt. 2.Once the water comes to a boil add the oats and stir then let simmer for 5 minutes on medium low heat. 3.Remove from heat and cover for a further 5 minutes then add cream or milk and honey/sugar to taste. Alternatively slices of fruits like bananas,a tablespoon of some dried fruits would be great too. As a childII had no idea what this fruit was called and every time I went to my grandma’s I would just eat the bloody red fruit as I called it then because it tasted really exotic and like no other fruit. They fruit had my mum seeing red though because it stained everything I was wearing. Tree tomatoes as we call the tamarillo in Kenya comes in all colors of the rainbow red,orange,purple or yellow but inside you find red tinged yellow flesh or an all yellow flesh when ripe with dark red seeds that give this fruit a rich red undertone when scooped out and blended as a juice. The yellow fleshed variety is the sweetest of this sub- tropical fruit and it can be blended with other fruit juices to make a nutritious drink . The juice oxidizes very easily so it is a good idea to blend it with something acidic to prevent it from developing a not so pleasant after taste. But its best taken fresh as a juice or fruit and not kept out for long. The fruit is rich in carotenoids like lycopene and beta carotene which are anti oxidants that fight free radicals that are thought to be the cause of many cancers.Its also rich in Vitamin C,potassium,phosphorus,sodium and magnesium. The fruit is best left to ripen at room temperature if it’s harvested while still raw. How many times have you passed by this fruit at your local market and wondered WTH it was? The custard apple is a very sweet fruit as a result of the naturally occuring sugars it carries. It is also a good source of vitamin C,magnesium and potassium. It ripens pretty fast once mature and its pulp can be blended with other fruits to make shakes or with milk. You need to sieve the pulp first to get rid of the seeds. Its best to buy them when they arent ripe yet and store them in a cool dry place. Follow this link that has recipes from the Australian Custard Growers Association on how to use the fruit for various dessert dishes. Once ripe the outer flesh softens and gives slightly when pressed but you need to be careful it doesnt get too ripe which then turns the pulp inside to a mushy consistency. The flesh inside is white/off white and that’s what you want to eat, it is simply delicious! Have you seen this fruit anywhere….? My grandmother would bring it for us when she came to visit and i had no idea it was rated as an exotic fruit. 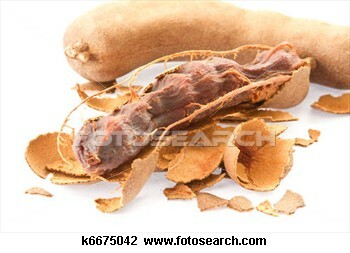 The tamarind fruit is rated ultra exotic because it is so rare and very few people know about it. It is a fruit that grows in tropical climates in Africa and Latin America. It i is an effective laxative. Aids in digestion,relieves discomfort caused by too much gas and was used in Southern America to fight scurvy as it has a very high vitamin C content. The tamarind tree produces bean like pods that are green in color,with maturity the pod’s color changes to brown and becomes stiff while the paste inside turns to brown and its seeds harden. The pulp is what is eaten,it is very rich in vitamin C ,calcium,phospohorus,thiamine,,niaicn and riboflavin. The fruit has a sharp sweet and sour taste which is quite distinct. You break the hard shell to get to the pulp which is sometimes stringy, and get rid of the seeds after sucking on its exotic goodness. The fruit in Kenya can be found in many markets ,even some supermarkets have it. A semifreddo is a partially frozen fruit drink that can be turned into a dessert. Semifreddos can be made from fruit juice,ice cream,cake,custard or whipped cream. They are the perfect coolers to the hot days that January is infamous for here in Kenya. You can find a strawberry and shaved chocolate semifreddo here. Use this recipe here for the coconut and mango fruit mix, double the ingredients and you have a perfect drink to keep you rehydrated this January. The drink can be sweetened using a simple syrup. You can use your favourite fresh fruit juice,pour it into a freeze proof container and pop it into your freezer. Keep checking every 2 hours and if mixture looks like it is about to freeze,scrape it with a fork till it’s a crystallised slush. Do this 2-3 times till you are left with crystallised bits of the juice without any liquid left in the container. Scoop this into a chilled champagne or wine glass and top with some more of the fresh fruit juice and enjoy.